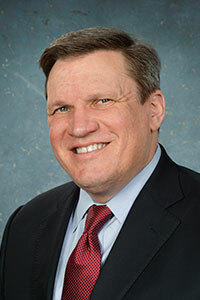 LANSING, Mich. – State Sen. Wayne Schmidt, R-Traverse City, will speak at a press conference Monday, Feb. 22 at 9 a.m. to help kick off the Statewide Interoperable Communications Conference. The event will be hosted by the Michigan Department of Management and Budget’s Public Safety Communications System and the Emergency Management and Homeland Security Division of the Michigan State Police at the Great Wolf Lodge in Traverse City, Feb. 22-25. Monday, Feb. 22 at 9 a.m.
Sen. Wayne Schmidt will participate in a press conference at the Statewide Interoperable Communications Conference.